The United States: Excursions through its canyons and valleys! Nowadays more and more travellers are choosing both adventure tourism and ecotourism. The United States is no exception and this is largely due to its large size. From enormous mountains to woodlands and forest reserves, majestic rivers and impressive lakes, this country has great natural diversity. Moreover, another of the United States’ main attractions of this nation are its extensive and impressive valleys and canyons, which have arid and semi-arid climates and are found in states like Arizona and Utah. If you are passionate about landscapes, nature and adventure tourism and you have decided to travel to the land of Uncle Sam, here is some valuable and very useful information for you before you travel. Travelling to the United States is getting easier and easier. If you live in countries like Australia, you just need to request an ESTA Visa online before you travel. ESTA Visa is basically an electronic authorisation system for your entrance to the United States. For this reason, requesting the ESTA visa is not such a waste of time as many people may think. Two of the best trips that you can go on when you are visiting the United States are the tour through the Colorado Grand Canyon in northern Arizona and the guided tour of Monument Valley, which is also in Arizona. The Grand Canyon is possibly one of the most well-known geologic stratigraphic formations in the world. Situated in north-eastern Arizona, this natural wonder offers impressive views, walking activities and adventure tourism. The Grand Canyon is completely made up of many other formations or canyons, which have various names but together form this jewel of nature. Glen Canyon is situated in the northern point of the formation. This canyon surrounds the Powell Lake in the state of Utah and although it has a very arid climate it is absolutely magnificent. There are two other canyons which are definitely worth a visit. Canyon de Chelly and Antelope Canyon also have amazing landscapes and give us the opportunity to see stratigraphic formations from different geological eras on the canyon’s walls. Canyon de Chelly has quite a rocky floor and contains the remains of an ancient civilisation known as the Anasazi civilisation. These remains consist of the foundations of an ancient troglodyte city with petroglyphs in the bottom of the canyon. Antelope Canyon is very famous for its iconic red-coloured formations, creating a beautiful landscape for tourists to visit and is well worth a photo and their admiration. Together with Colorado’s Grand Canyon, this is considered to be the second most popular tourist attraction. The incredible desert landscape of this location has been immortalised numerous times in cowboy films. You can generally opt for a guided tour in 4 x 4 vehicles accompanied by locals so that you can see the many forms of the impressive rocks first hand. Some of the most famous and most well-known rocks located in this valley are the “Three Sisters”, “The Eye of the Sun” and the “Ear of the Wind”. 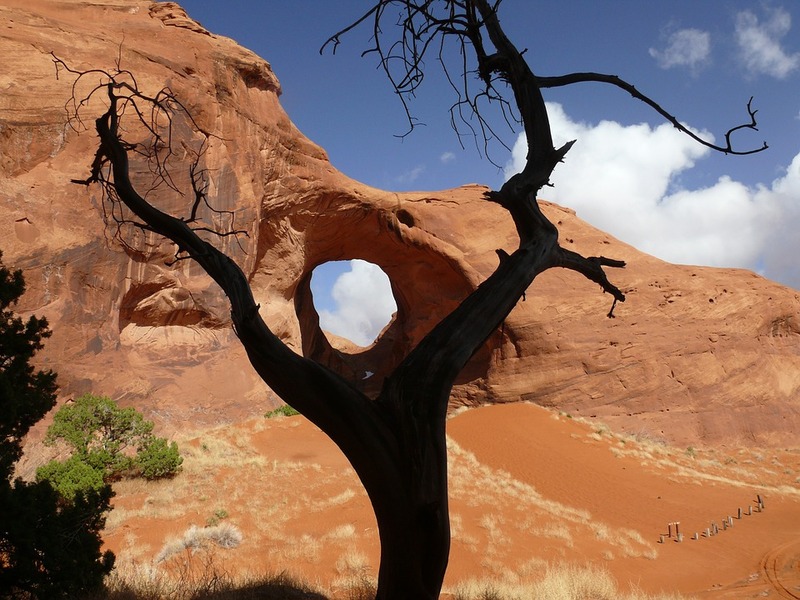 Since Monument Valley is located in the reserve of the Indian Navajo tribe, you will be able to experience their life and culture which has many beautiful crafts and very unique architecture. As if that were not enough, at the other end of Monument Valley you can rent a room in the hotel where the famous actor John Wayne stayed during many of his films and contemplate the sunrise in this beautiful valley. Finally, if you get the chance to go there don’t miss these locations as they are considered to be some of the greatest wonders in the world. Not sure if you can apply for USA Esta? Check this exhaustive list of frequently asked questions about ESTA application requirements.